Haas' new F1 backers Rich Energy has set the ambitious aim of beating Red Bull both on and off the track. Haas’ new backers Rich Energy has set its sights on challenging Red Bull both “on and off the track” upon its entry to Formula 1. 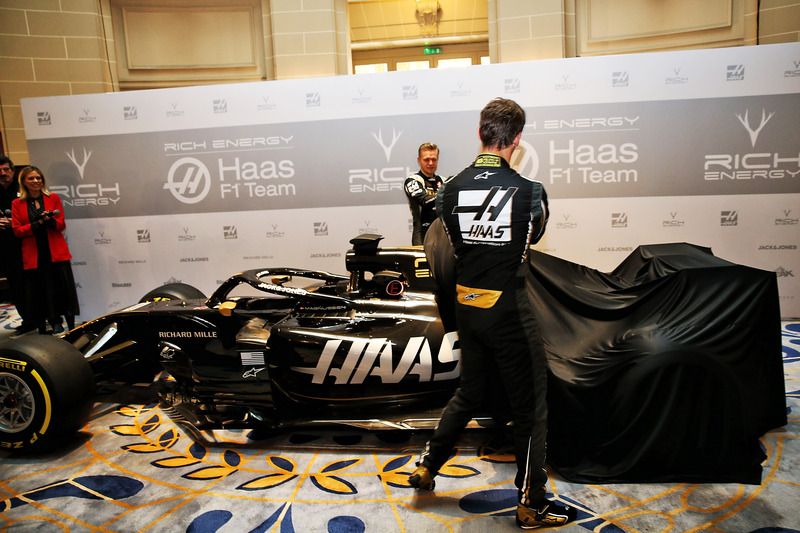 The American squad unveiled a new black-and-gold livery for the upcoming 2019 season in a move that reflects its new title sponsorship deal with British energy drinks company Rich Energy. Speaking at the event in London on Thursday, Rich Energy CEO William Storey said: "We’re absolutely over the moon to be in Formula 1, it’s a big platform for our brand. Storey claimed Rich Energy has taken a “huge” amount of business away from Red Bull and is confident success can be translated into on-track performance in its new partnership with Haas. “I think we’ve already beaten them, we’ve got a better-looking car, that’s a bit biased there,” he said. We’re expanding very quickly, we’re taking a huge amount of business from them. “Some of the biggest drinks distributors in Europe are de-listing Red Bull now, and I think our results will start to speak for themselves. Formula 1’s a wonderful platform for us. Asked if Rich Energy’s goal is to wind up Red Bull, Storey replied: “No, not at all. I think Red Bull are a brilliantly-run business. “I think Dietrich Mateschitz is a clever guy. I think he’s created a category in 1987. Haas continued its year-on-year improvement in F1 as it secured fifth place in the constructors’ championship in 2018, though it ended up over 300 points adrift of a third-placed Red Bull squad that claimed four wins. Haas team principal Gunther Steiner believes that while such a target may be unrealistic for 2019, he defended Rich Energy's high goals. “I think you have to try hard,” he added. “If you have no targets, you never achieve anything. “They are good in racing, they are very good, but you never know. Last year, I think we had the fourth-fastest car, we finished fifth, I know about that, but the next one up was Red Bull.